Today, we join with our Sisters & Brothers across the labor movement to celebrate International Women’s Day. For more than a century, this special day has been an opportunity for people across the globe to commemorate the social, economic, political, and cultural achievements of women. From stewards and bargaining committee members to our staff and our executive board, Local 727 is proud that women are leaders in our Union. We are proud to be a Union that stands together to demand fair treatment for all. Throughout the history of our Teamsters union, women have played a critical role in the labor movement. Whether striking for better working conditions or spearheading organizing efforts, Teamster women have always been a driving force for change. While the struggle for true equality continues around the world today, Local 727 is proud to be a Union that unites women and men on an equal basis to fight for fair pay, safe working conditions, and respect for all people. When we stand united, we have the power to end discrimination in all of its forms. 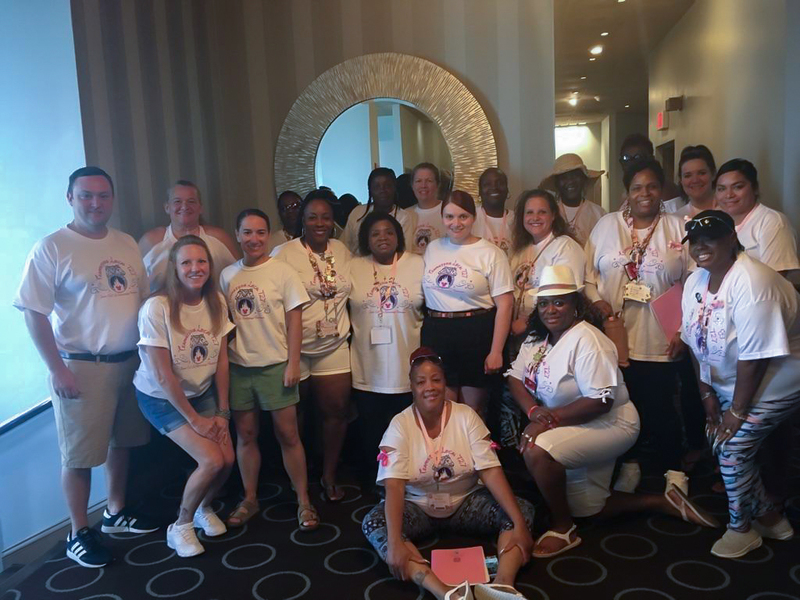 Teamsters Local 727 members and staff attend the 2018 Teamsters Women’s Conference in Orlando, FL.